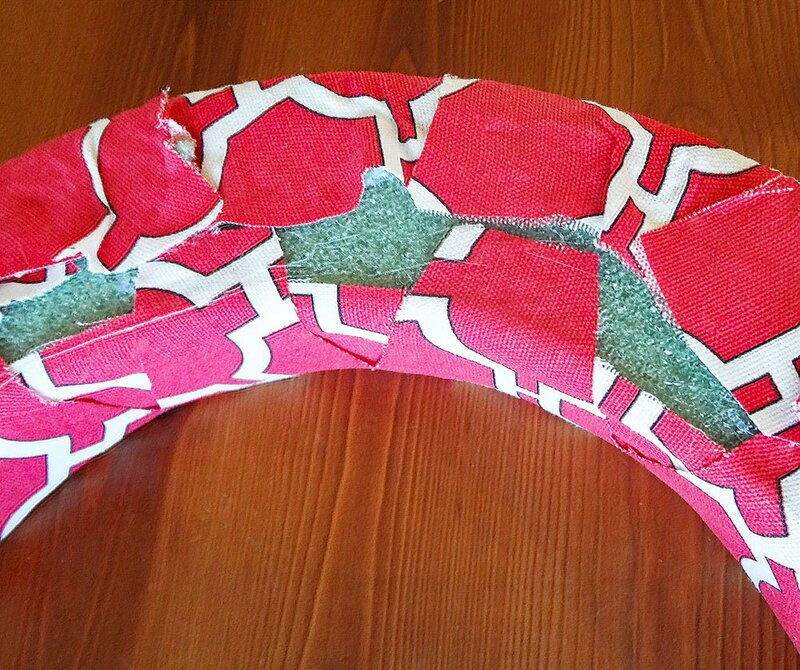 Have you ever wondered how to make a wreath out of fabric with a great pattern, without losing the pattern? 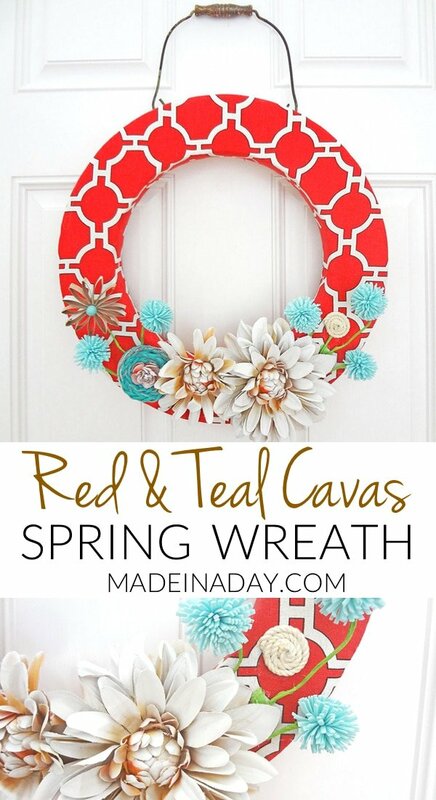 I will show you just how to do that in this tutorial for my Red Canvas Spring Wreath. 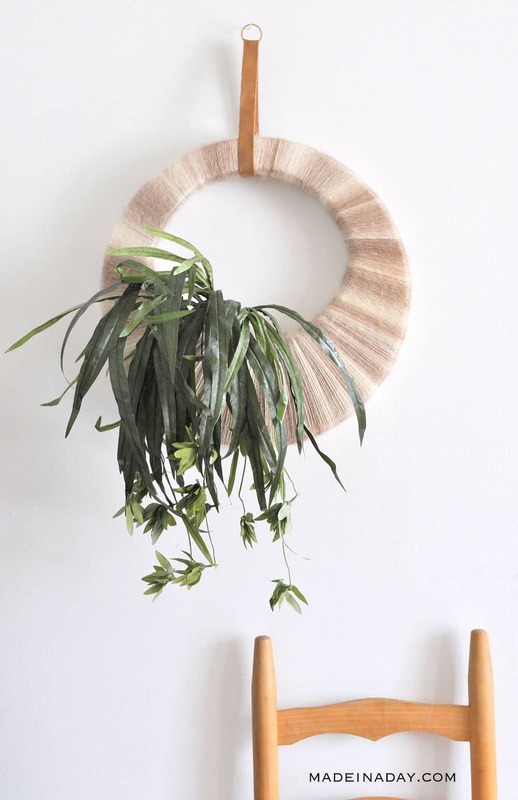 For more DIY Wreaths see my Wreath + Plants page. I found this fabulous Cherry Idriss Fabric at Hobby Lobby and I wanted to make something beautiful with it, but still keep the pattern in tack. I created this tutorial to show that the old wrapping the fabric strips around a form isn’t the only way to go! I also wanted a new look for my flowers, so I spray painted them! Yes, I said spray paint! This made the texture of them nice and stiff like canvas. I also like to use unusual items to make flowers, they give my wreaths that special touch. I hope you find it inspiring! 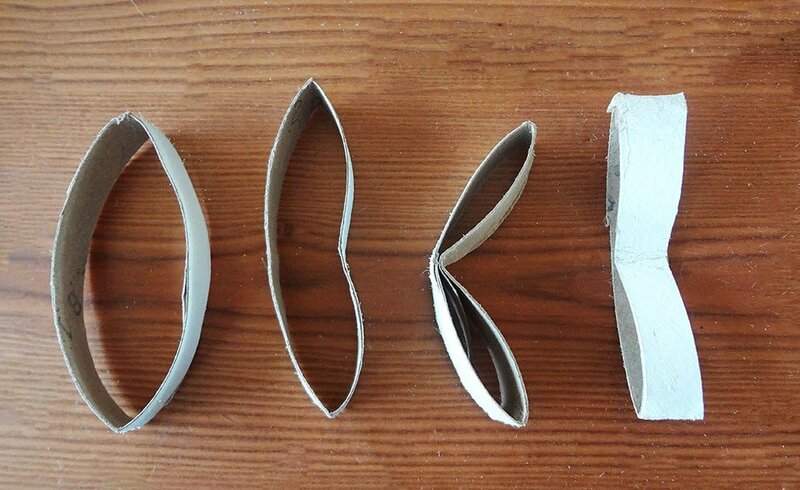 Here’s how I put my spring wreath together. Place your wreath on your fabric and set the pattern straight. Using fabric scissors cut 3-4 inches of fabric on the outside of the wreath. Size may vary if you have a larger wreath. Cut a small circle out of the fabric in the center of the wreath. I used a small bowl as my guide. 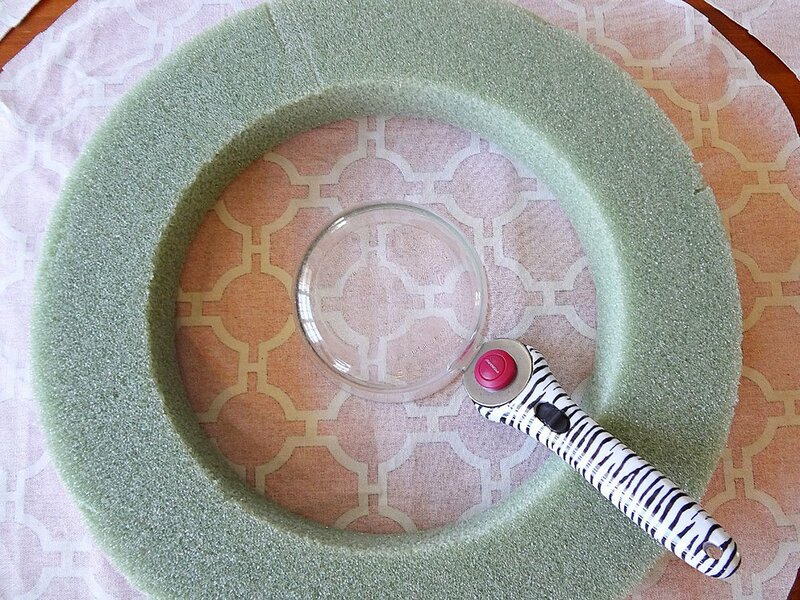 Measure the inside rim of the wreath and cut a strip of fabric to match it. 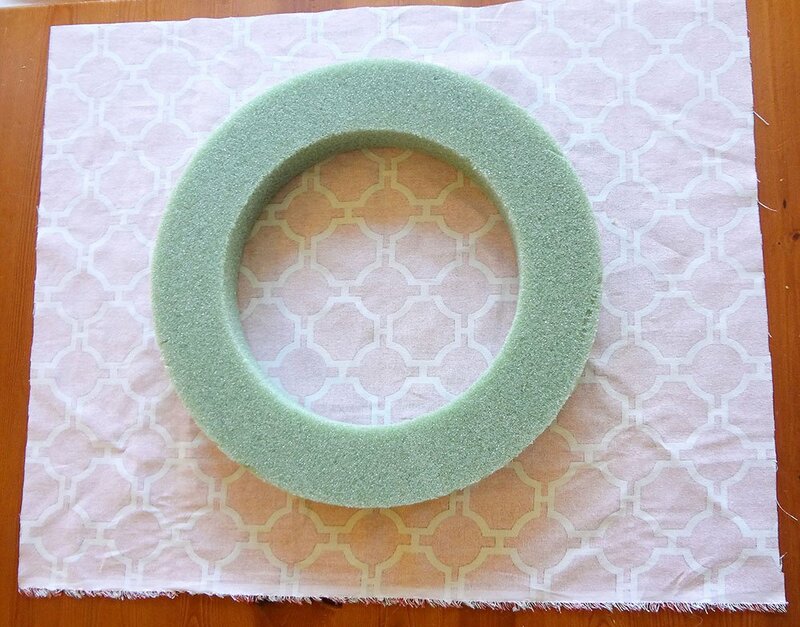 Glue the strip of fabric to the center rim of the wreath first. 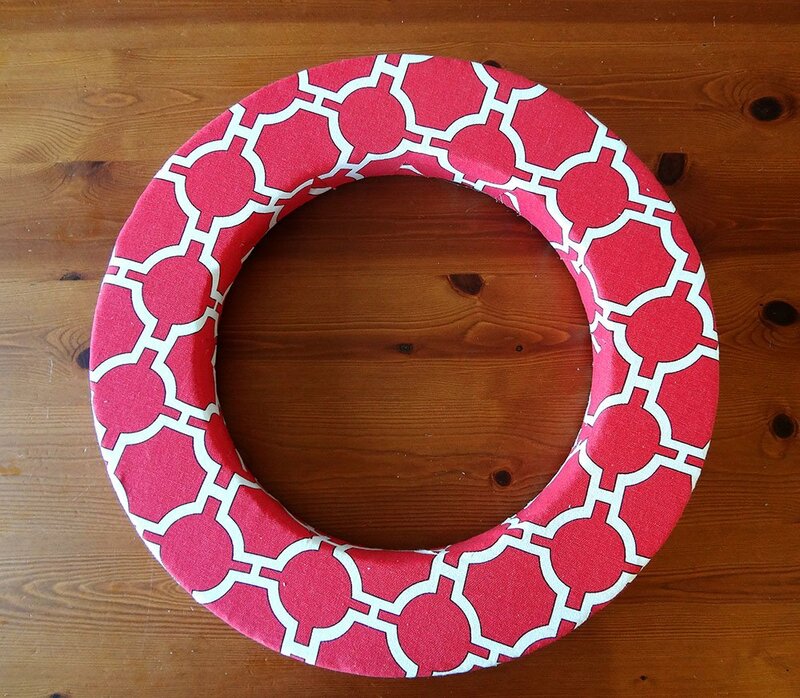 Place the wreath back on your circle of fabric and cut slits on the outer edge and the inner edge of the circle. 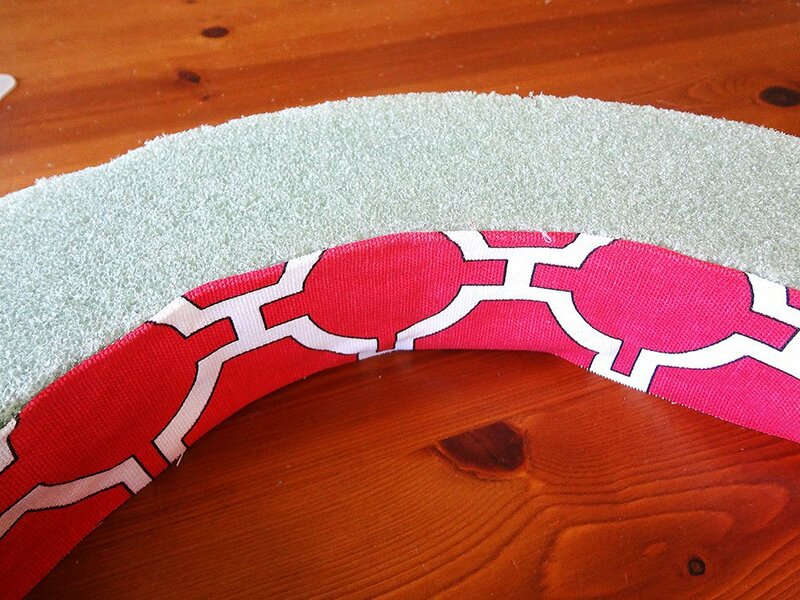 This will allow you to stretch the fabric while smoothing allowing to keep your pattern in tack. 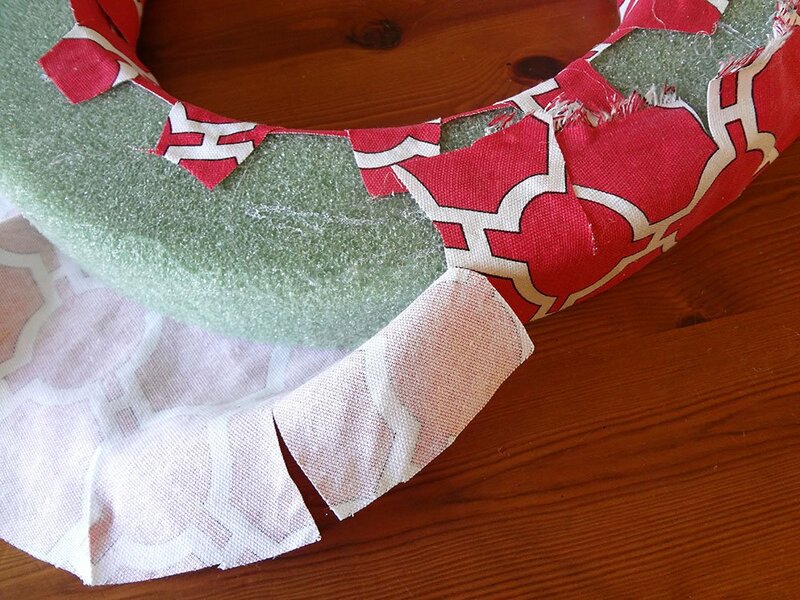 Start with the inner circle of the wreath, pull and glue the fabric onto the backside area. 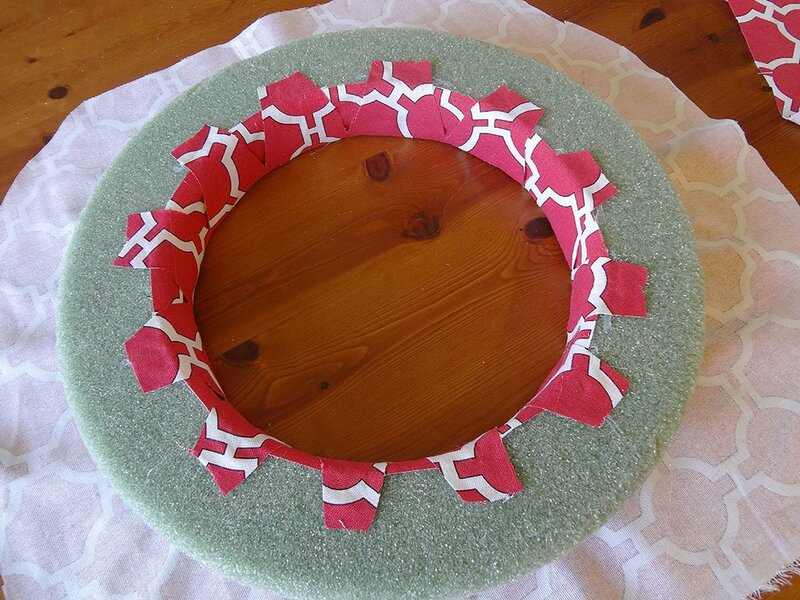 Pull and smooth the outer edges and glue them to the backside of the wreath as well. 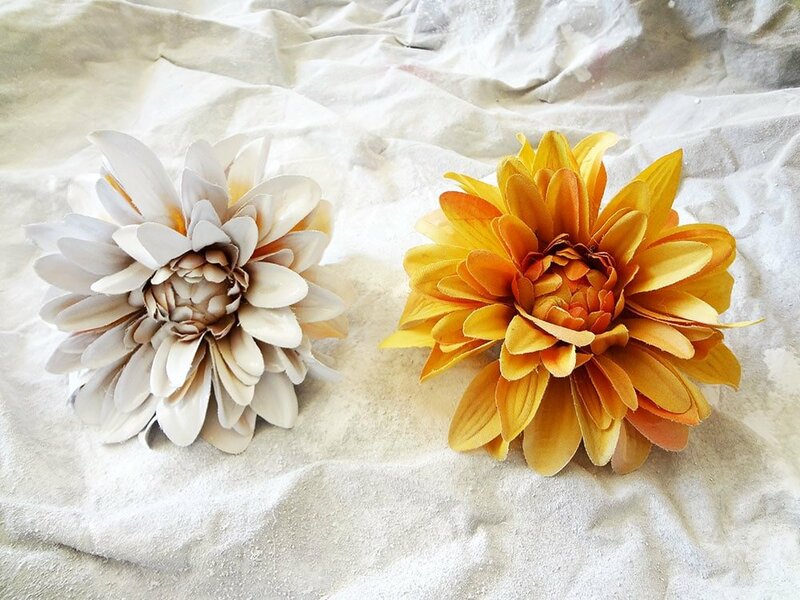 Take the two large flowers and one small flower, spray paint them with white flat paint. Let them dry overnight. When they are dry they will have a stiff canvas feel to them. 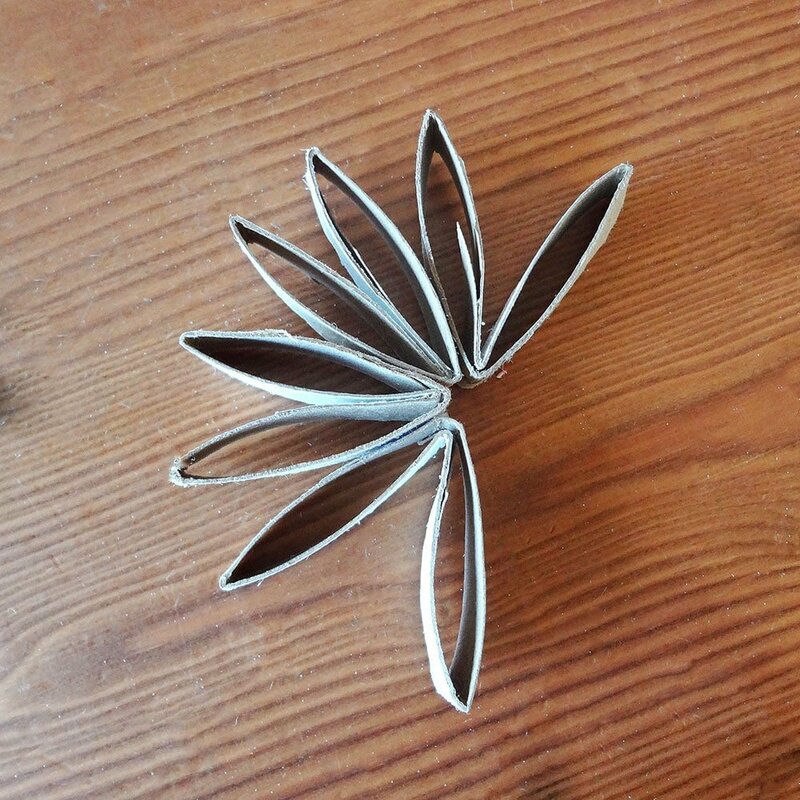 To make them different sizes, you can take them apart by removing the stems and some of the large petals from the back of the flower. Spray paint the outside of the roll with white flat paint. Let it dry. 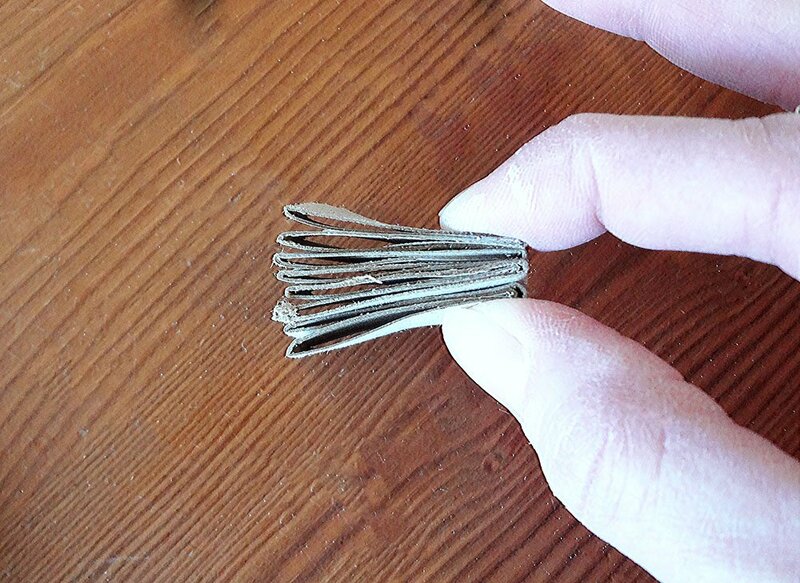 Cut seven 1/4 inch sections of the paper roll with scissors. 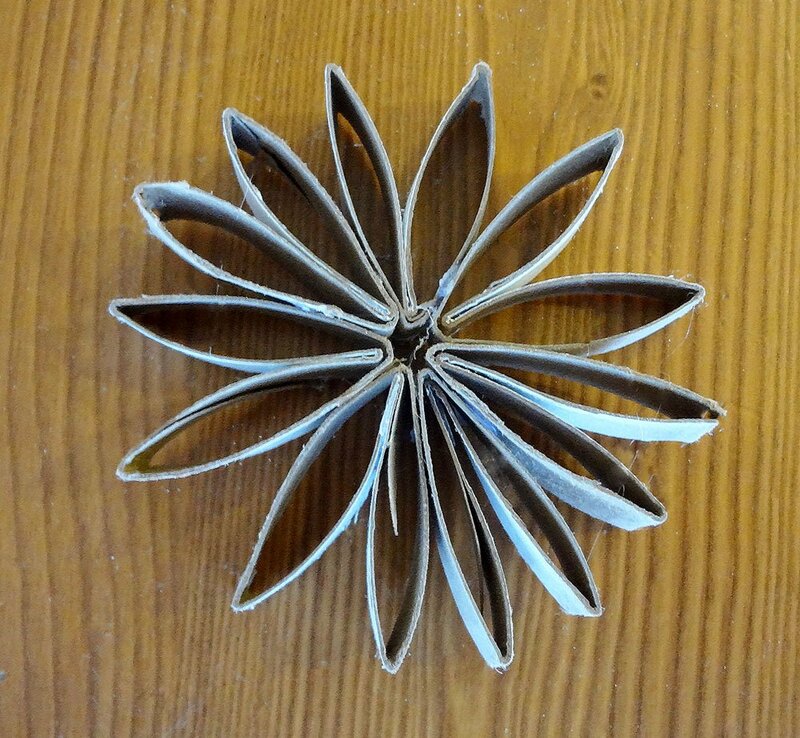 Bend the small roll section in half and glue them together making a tight flower. Hot glue a bead in the center. 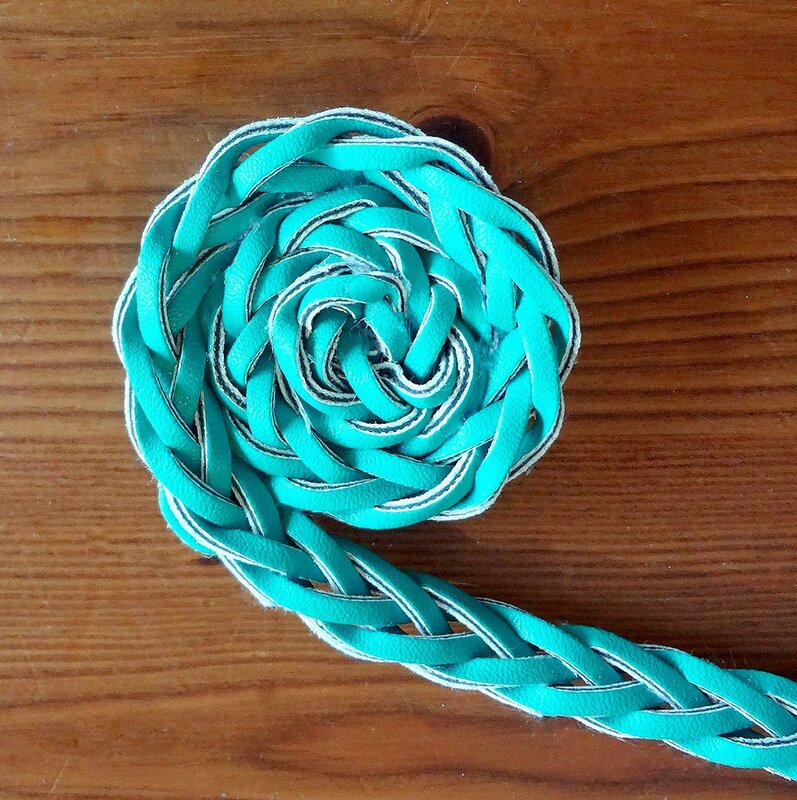 Hot glue the rope and trim into a circle making a bud. Super simple. For the woven flower, I used a belt that I had that was too small for me. You can use fabric trim similar to the woven vinyl. 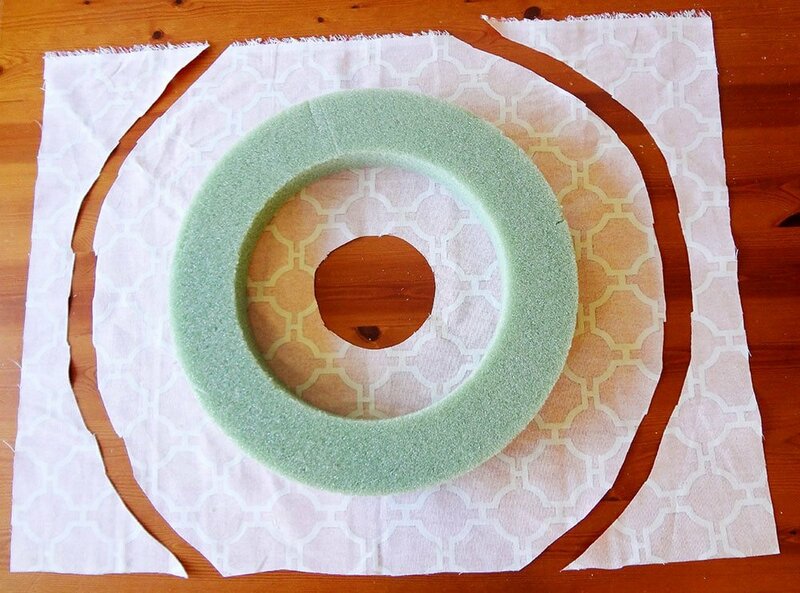 Roll the woven trim into a circle or rose. Hot glue the flower as you go. Arrange your flowers and attach your handle and you are done! Super cute and fresh for Spring! ~Check out more of my Wreath Projects! Lovely idea! I have been making my own wreaths for years and came upon this one! Instructions were easy to follow! Thank you for sharing this project! You were among the features from last weeks House Party! 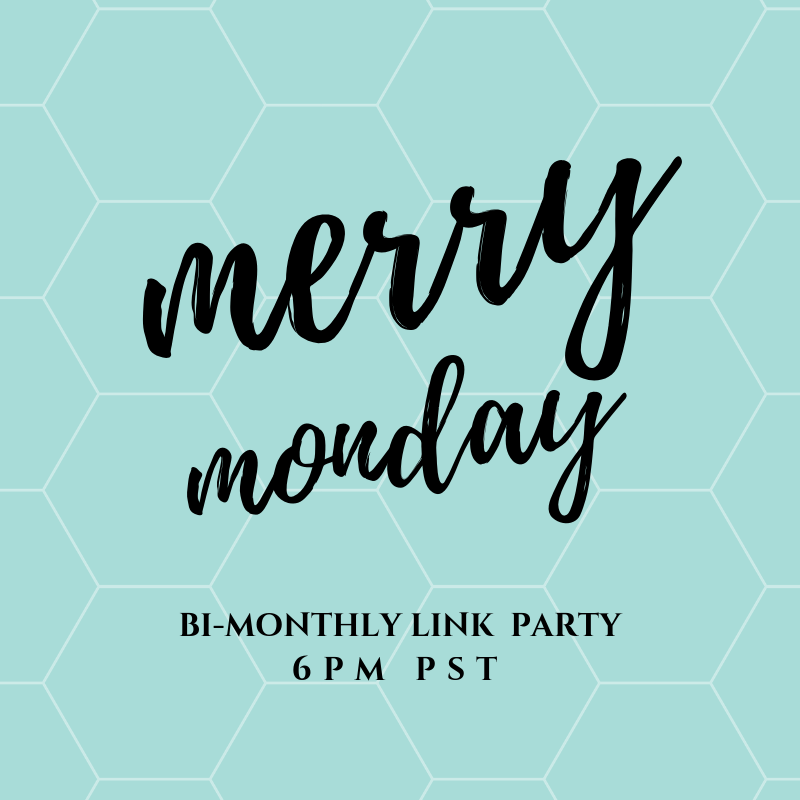 Thanks so much for linking up, and the party is on once again! Hope to see you there! Love the red and teal. Would love to have you link it up to my Party for April projects. Love it! Love the ways you made the flowers too! This looks brilliant – fab fabric! Love, love your wreath! it is gorgeous! That is gorgeous! My favorite colors! What an adorable wreath! I love the bold pattern choice! Kim, would love for you to add this to the website so I can feature it! Creative Corner Hop. Thanks for sharing with us. 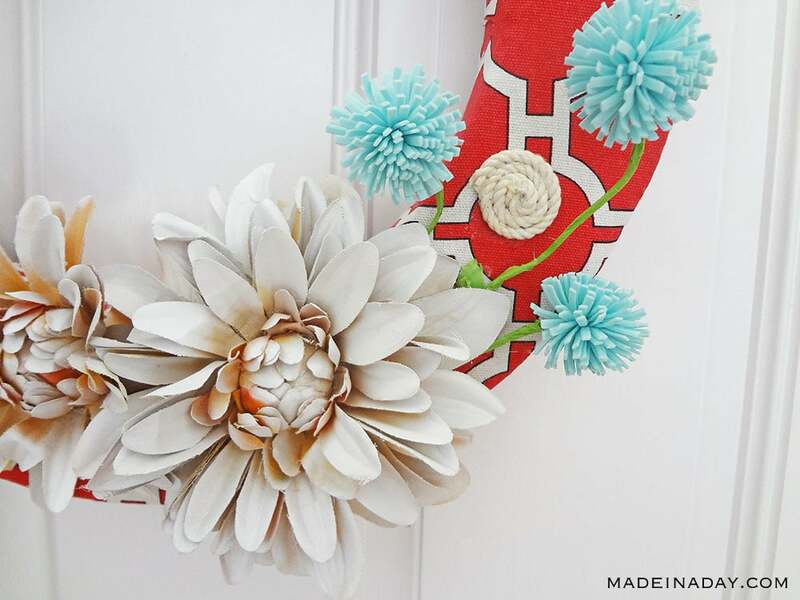 I love how crisp and modern this wreath is, and the flower tutorials are a bonus. Thanks for sharing; I’ve featured your link on my blog. Thanks for stopping by last week’s Saturday Showcase! What an awesome project! Stop by next week to link up some more cool projects! This wreath is gorgeous! I love the bright pattern fabric. I featured this post at Simply creations link party tonight! Thank you for sharing. 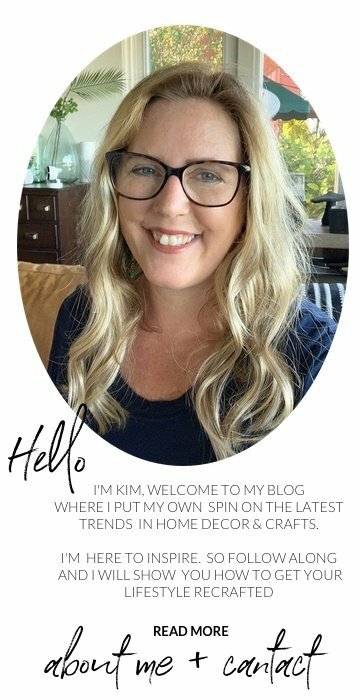 Hi Kim love your project! I’d love you to share my party button or a link sometime. Yours in on my party page – blog love page. Thanks for sharing @ Inspiration Spotlight @ DearCreatives.com Hope to see you again soon! LOVE the wreath. Your flowers are so creative!! Thanks for linking it up at Think Tank Thursday. I have featured you today. 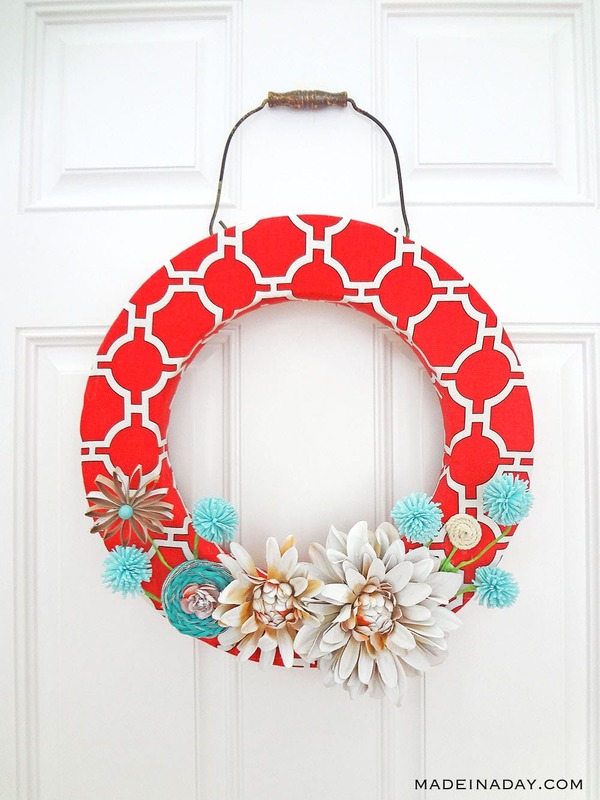 What a pretty wreath – love the color combination! 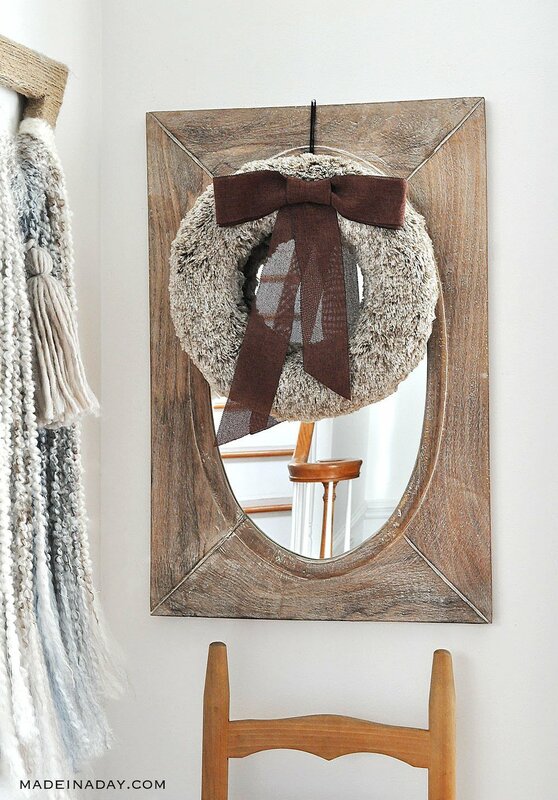 I LOVE, LOVE, LOVE everything about this wreath. 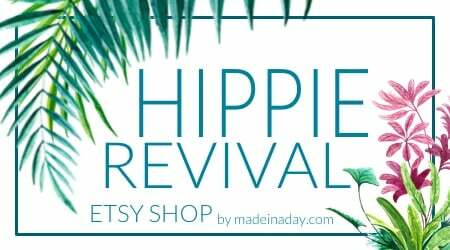 Found you on Inspire Me Monday Hop and would really like it if you would come over and link up to the Creative Corner Hop. Gorgeous – I love the colors! Pinned! I love your wreath! So creative and different. So glad you stopped by and linked up at Transformed Tuesday this week. Love it – Kim! The re-purposed handle rocks! SO beautiful! What a lovely wreath, I love the vibrant colors! Love, love, love your spring wreath! So cute and makes me ready for the sunshine! This is gorgeous.. I just love the bright spring colors you chose.. and the flowers are soo pretty! Thank you so much for linking to The Creative Blog Hop. I love the wreath and one of the flowers on the wreath looks just like the one I put on one of my new blog buttons! This is pretty. you made this for me right?!!! 😉 LOOOOOVE it!! This is so pretty! Love the fabric you used and the different textures of the flowers is just wonderful. Gorgeous! Love the fabric and some very interesting embellishments too! (belt, wow!!). I like how streamlined this wreath is and your flower details make it so welcoming. Thanks for the inspiration. Beautiful, Elegant and Sophisticated…. I just had to pin it! This is so cute! I love it! I am a new follower from southern charm! 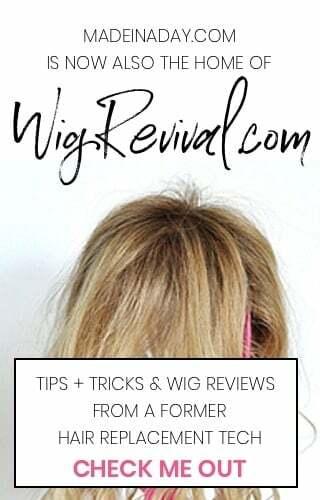 I would love for you to visit my blog and hopefully follow me back! Have a great weekend! Nicole! So cute, I love the colors! I featured you today on my Kick-Off Friday post! Have a great weekend! Love that you recycled your belt. Great idea! Visiting from Think Tank Thursday. I love this wreath! So creative and its crazy I know but I’ve never even thought of spray painting flowers! Ha! Thanks so much for sharing at ITS PARTY TIME! Hugs! What a great idea! 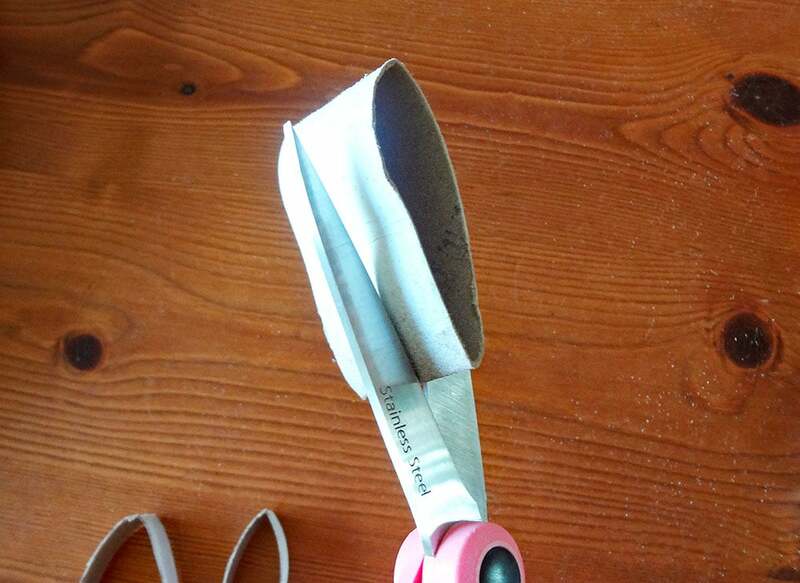 I love how you cut tabs in the fabric so it would lie all flat and pretty. This looks so nice! Thanks for sharing the tutorial. I wouldn’t have thought to take the time to keep the pattern in tact, but it makes such a difference! Oh my gosh! I love this wreath! It is so beautiful! The colors are so vivid! 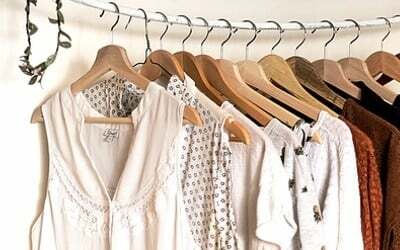 I’ll definitely be pinning for inspiration! Oh my gosh this is GORGEOUS!!!! Seriously! I love this so much – beautiful wreath, love the flowers, the red fabric…love it all. Great job! This is gorgeous! Love the fabric! 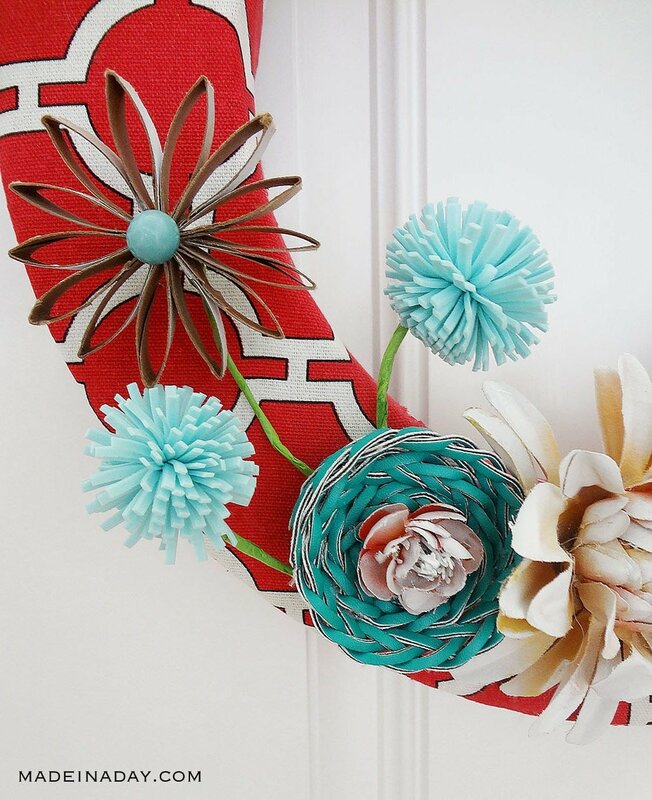 This wreath is so original, the colors, pattern and floral’s are wicked fun! So pretty – the color combo reallys pop on it! 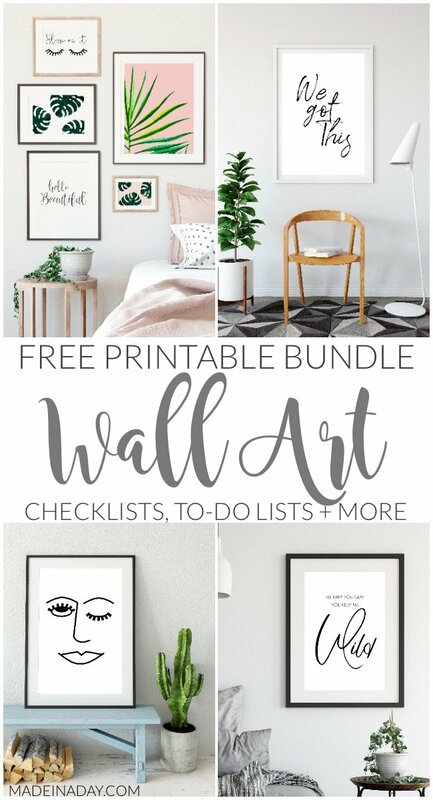 Would love to feature this is you added the Craftastic party link somewhere. Thanks for linking to the Craftastic Monday party at Sew Can Do! This is so cute! Love the colors and the print! Pinning it! I LOVE it!! That fabric is so, so perfect!! LOVEE!!! I actually pinned this from Pinterest yesterday! Fun color scheme! Thanks for sharing! 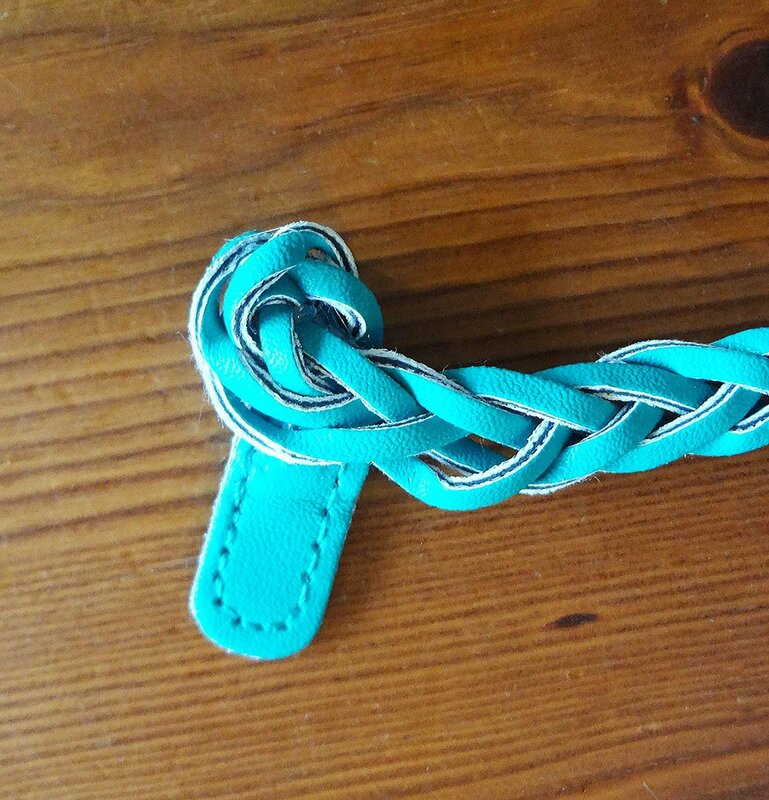 Love it – the turquoise and red is such a great combo! I am in love with this wreath! Love the bold, graphic fabric and the turquoise flowers, too. Sharing all over! Dang girl, that is so bright and beautiful!!!! I love it! I’m going to do this too! Love the wreath, especially the colors!! Oh my gosh! This is a gorgeous wreath! I love the bold colors! Loving the print on the wreath!